Dion, a place with approx. 1450 inhabitants, is located near the highway Thessalonki-Larissa in the Greek region of Central Macedonia, about 15 km from the town of Katerini. 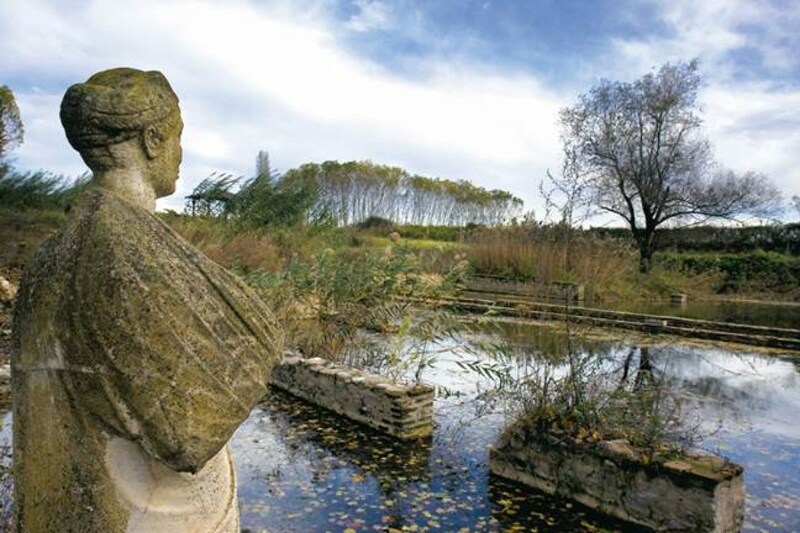 Ancient Dion, an important archaeological place of the Macedonian culture is not far from the modern place Dion in the plane northwest of the Mount Olympus massif. The oldest finds are remains of the buildings built by the kings of Macedonia, dating from the 3rd century BC. It was the southernmost fortification of the kingdom of Macedonia. Due to its proximity to Mount Olympus, it developed to the central shrine in Macedonia, in which Zeus was the center of worship. Dion's name is derived from the Greek name for Zeus. The underfloor heating systems, the water pipes of the baths, and the ornate mosaics emphasize the prosperity of this city. Dion was venue of the Olympic Games of the North for several centuries. It is said, that one performed the works of the tragedian Euripide in the Greek theater already in 4th Century AD. Today the theater is again used for events. Later, a Roman theater was built. Outside the walls, surrounded by ponds and canals, a temple was dedicated to the Egyptian goddess Isis. At the end of the heyday a Christian basilica was built in Dion. The excavations in Dion started in 1928 and will continue even today.